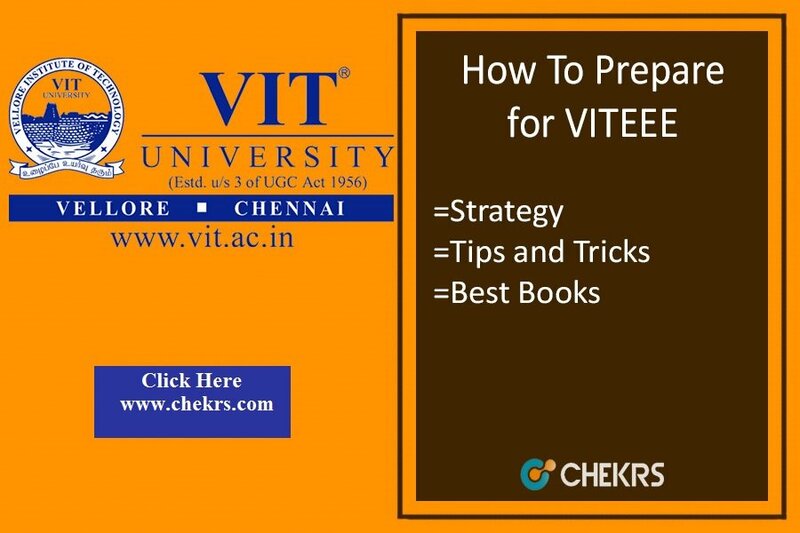 How To Prepare for VITEEE 2018 (वीआईटीईईई के लिए तैयार कैसे करें): The Vellore Institute of Technology is one of the most popular colleges in India for pursuing Engineering Studies. To get enrolled in the Institute appearing in Vellore Institute of Technology Engineering Entrance Exam (VITEEE) is mandatory for all the students. The scope an individual gets after passing out from this institute is very vast. It is a national level exam. Well, to all the students who will be appearing in this exam you would require following some VITEEE Cracking Tips as the competition is very high. For all the students who will be applying for the exam, one thing they should know is that the exam is the online base. Hence, accuracy matters a lot for qualifying. 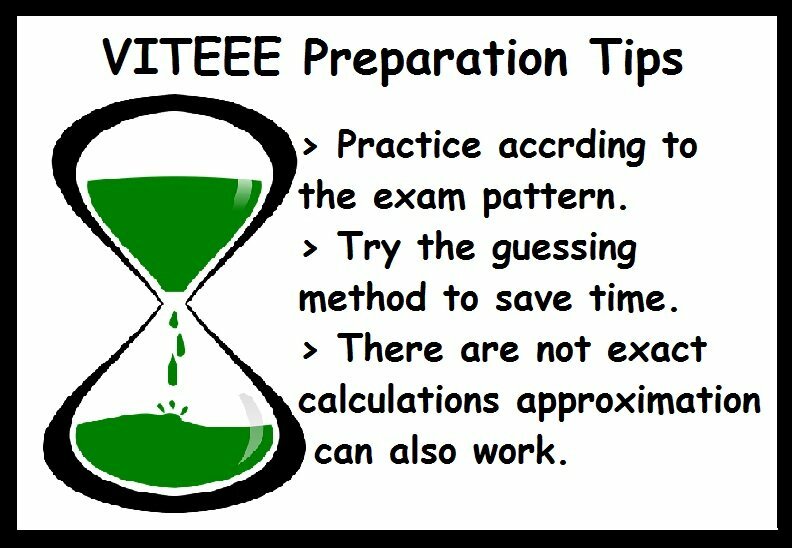 However, the Tips and Tricks for VITEEE is that prepare thoroughly with the basic concepts. NCERT is the best resource for all, as the VITEEE exam paper constitutes 40% questions inspired from the NCERT basics. As discussed above the candidates must be familiar that the numbers of questions to be attempted in the given time are more. Apart from doing the practice of time management the applicants should also try to be more attentive towards guessing of answers. The exam has no negative marking. Therefore, the Tips for Cracking VITEEE is that avoid accurate calculations. You should know the tricks to reach on approximations. This way it is much easier for all to solve the calculations in less time with more accuracy. Right after the registration, the biggest question faced by all of the candidates is How to Prepare for VITEEE. Well, the preparation goes in correct format if the students have selected right books. The refreshers available in the market such as R.D. Sharma H.C. Verma are good VITEEE Preparation Books. A sincere and hard work combination is a must for all the candidates. But taking too much stress of the tasks and syllabus is not a healthy sign. In order to perform well, the students should keep themselves calm. This is also one of the good ways to enhance performance. 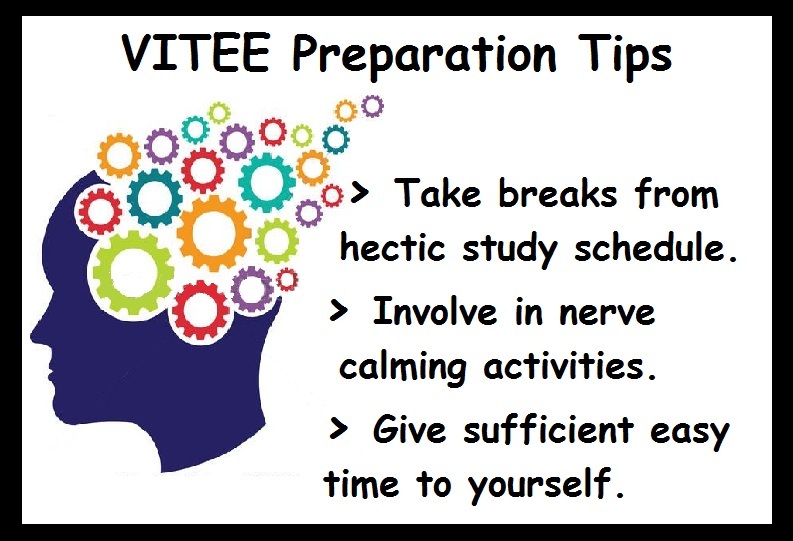 The ultimate VITEEE Preparation Tips for the candidates will be that they should take mind calming breaks in order to relieve the mind from continuous brainstorming.